It is sprawled on the floor, resembling a sleeping dinosaur. The ribs are evident and the skin which covers it hangs loosely from the ceiling and falls drape-like around some of the giant. It is a new airship under construction by Goodyear and its partner, the German company, Zeppelin. The airship is the latest in airship technology. Technically, it is not a blimp because the new craft has a metal infrastructure inside the big bag which holds the helium to lift the ship. Because of the infrastructure, it is called an airship. 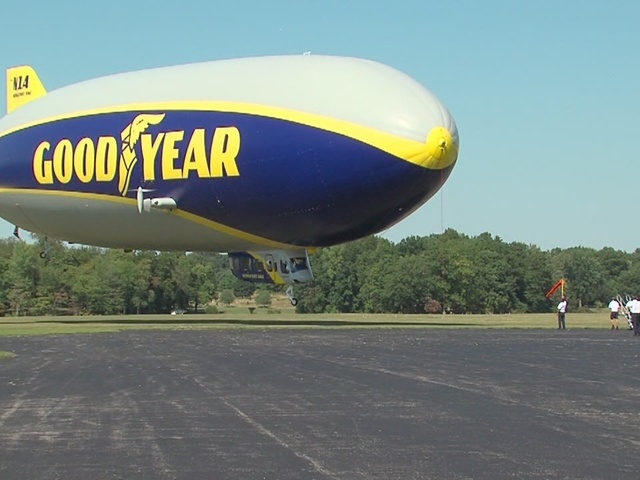 However, in the public's mind, the word blimp includes all types of aircraft lifted by helium. Regardless of nomenclature, the huge ship, 250 feet long, is slowly being put together by technicians. The new airship is expected to be ready for flight by March 2016.